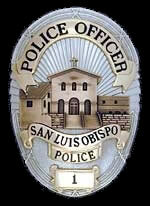 San Luis Obispo Police officers Dan McDow and Armando Limon remain on paid administrative leave at a cost of over $60,000 to the city while U.S. Immigration and Customs Enforcement (ICE) continue to investigate. McDow and Limon were placed on paid leave Sept. 16 after the city learned they had been detained by ICE officials under suspicion of attempting to bring contraband into the United States at the San Ysidro port of entry. As of Nov. 25, Limon has received $30,578 in total pay and benefits and, for McDow, that amounts to $30,028. The two were stopped as they tried to reenter the country from Tijuana on Sept. 15. To sansimion sam, right on sam,”Put them back to work”, on a chain-gang breaking rocks instead of innocent peoples balls, where there’s smoke there’s fire,I’m sure they have pulled this off before, and it doesn’t matter if it were drugs, steroids, guns, or Mexican females, it was wrong and a police officer is suppose to be held at a much higher standard then the rest of us, they beat down! Not all cops are bad Darren Murphy best one I knew, and you could not find a better officer then John Caudill, let John and Darren run the club, wish it were that easy. So where is the outrage from the city officials. Linden and the city council should be raising hell with whoever is delaying this investigation, OR they should have some guts and fire these two drug dealers and get on with it. If in the unlikely circumstance there was a legitimate reason for these guys to have brought a trunk full of illegal drugs across the border, they can sue the city to be reinstated for back wages. We lose nothing, they are getting the wages anyway. OR, why not have them keep working. What the hell with crooks like Pavvo Ogren and his crew and the other white collar criminals working for the city and county whats a couple of drug dealers. Just take away their guns. Actually you dont have to take away their guns, either give them to the police chief of Paso and he will sell them or give them to the police chief of Atascadero and she will lose them. Put these adbeats back to work. If nothing else have them go service Gail Wicox or protect Christine Mullholland from the Sunny Acre crowd. Put them back to work. Sounds like somebody had ought to be telling ICE to get the investigation completed. These two guys have already cost us over 60K for doing nothing since 9/16 plus the overtime we are all having to pay for who ever is filling in for them. Heck these guys get better pay than LA police! Only a government job would still pay when they are not working……I need one of those jobs:-) I wish somebody would tell me to stay home with pay!! This is a joke right??? You’ve got to be kidding? 60+ days on leave? There definately must be more to this than just a stop as his buddies proclaim, or they wouldn’t have been on leave this long?? Look at the other county employees that had a nothing to start and are gone or demoted. Ghezzi, his buddy, Wilcox, Edge. I think a simple misdermeaner would have easily been investigated by now.